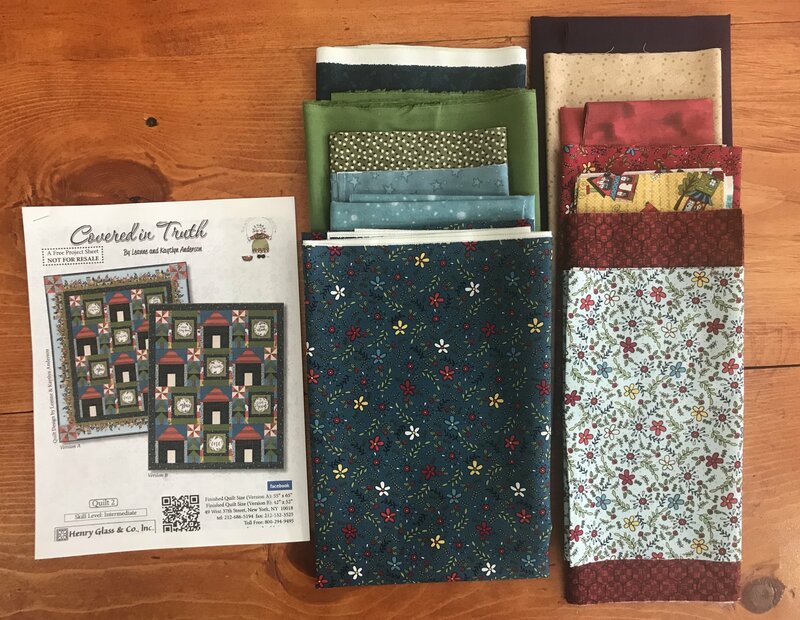 Covered in Truth kit includes fabric for quilt top and binding. Backing and batting not included. Features fabrics from the Covered in Truth line as well as coordinating blenders. Finished size is 42"x52".